February 06, 2018, 12:43 p.m.
During Piers Morgan’s recent interview with Donald Trump, the prospect the US president appearing on our shores became more realistic. 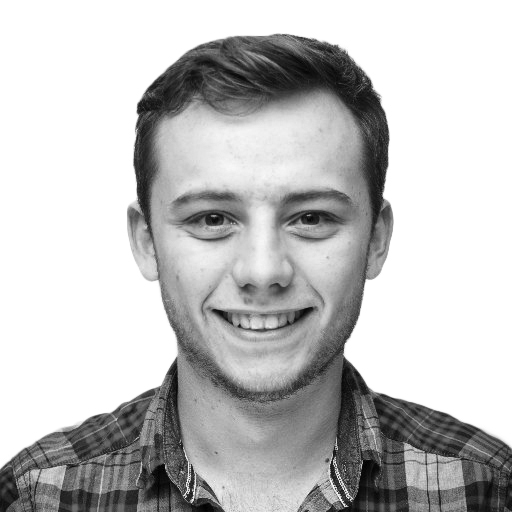 Trump said that Theresa May had invited him to Britain for both an official state visit and a working visit to take place this year. 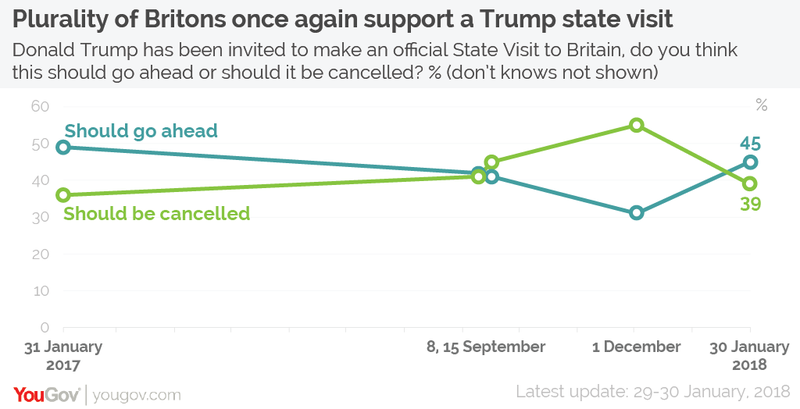 Now new YouGov research shows there has been a significant shift in favour of an official Trump state visit. Support for a visit has gone from its lowest level in early December (31% in favour, 55% opposed) to its highest level in a year, with 45% in favour and 39% opposed, a respective increase and decrease of 14 and 16 percentage points. But despite the dial shifting back in favour of the President’s visit, Trump&apos;s claim during the interview with Morgan that he is “very popular” in Britain isn’t backed up by the data. Just over one in ten (11%) think he has been a good or great President, down from 16% this time last year. This compares to 14% who think he has been “average” and 67% who think he has been poor or terrible. In fact, at least half of every age group, social grade, region, and political affiliation that we measured think Trump has performed poorly or terribly as President. So why are the public supportive of inviting such an unpopular President? 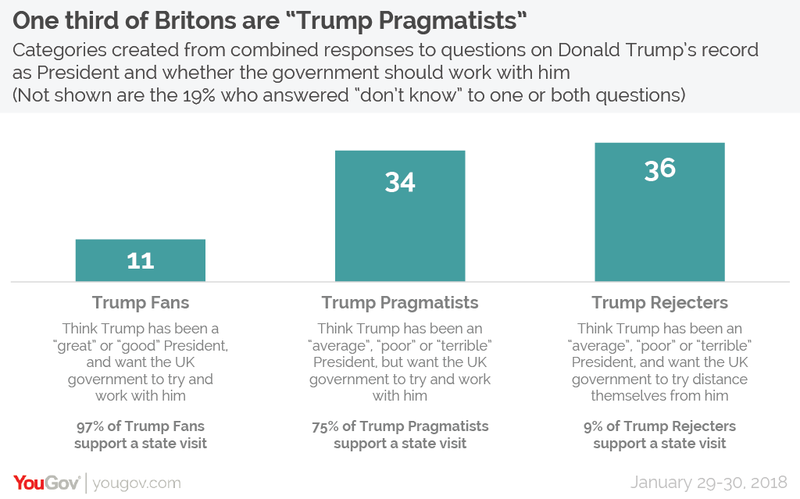 It would seem that many Brits take a pragmatic view of Donald Trump. When forming an opinion of whether to invite the President, many weigh up the approach they think it is best for the government to take, and not just considering their own personal views towards him. Looking at their views on how good a president he has been alongside whether or not the government should try and work with him, the data suggests that a third (34%) of Brits could be described as “Trump Pragmatists” who believe President has been average, poor or terrible but think that the UK should try to work with him. An almost identical proportion of Brits (36%) fall into the “Trump Rejecters” group. This group think Trump has been an average, poor or terrible president and that we should try and distance ourselves from him. At the other end of the spectrum are the "Trump Fans", who think he has been a great or good president and that we should try to work with him. This group constitutes 11% of the population. So while a large majority (82%) of “Trump rejecters” opposed to a state visit, 75% of Trump pragmatists and 97% of Trump fans think he should come.